Just as consumers shop around for the best possible deal they can find, an affiliate marketer needs to do the same in order to maximize earnings. Finding the best affiliate programs to use when trying to make money online is essential, as it’s true what they say, the devil is in the details. When researching which affiliate program works best for your website, you need to pay close attention to all the minor aspects of the agreement and factor in the potential earnings from each provider. Sometimes there can be a difference of one to two percent that could cost you hundreds if not thousands of dollars. In this article, I will discuss the pros and cons of different types of affiliate programs, offer advice for those looking to monetize their website and simplify the concept of what it means to be an affiliate marketer for those new to the game. In a nutshell, an affiliate marketer is an online salesman. A publisher is an individual or company that promotes a product or service in exchange for earning a commission. Advertisers contractually agree to work with a publisher, then provide the publisher with a creative – in the form of links, banner or text ads – that the publisher incorporates into their website. When someone clicks on an advertiser’s creative ad banner or text link, the visitor’s browser receives tracking cookie that identifies the advertiser, the publisher, the specific creative and commission amount. This data is stored within the link information in what are called “parameters” and can include even more anonymous data used for attribution. How do they track sales? The link or ad the visitor to a website clicks on is recorded using a “cookie” that works with web browsers to store information on your computer to record the data. Cookies can also store the time of the click; they can even be used to remember what kind of sites or content you liked the most. There are many different types of web cookies and uses, but the kind of cookie affiliate marketing relies on is called a first-party cookie. What to Look For When Considering an Affiliate Program? There are lots of things to consider when picking a product or service that offers an Affiliate Program. Obviously, the earning percentage is a huge factor, but the cost of the item for sale is just as important. A company could offer you 30% commission as being a part of their affiliate program, but if the product only costs $10, you could be doing a lot of work for just a $3 return on every sale. 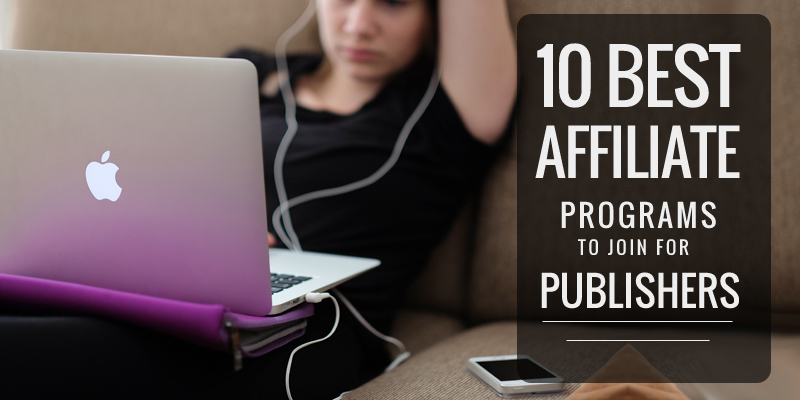 Most affiliate marketers target products to promote in the price range of $100 or more. Others are happy to sell the smaller items if they know a person is likely to add more items to their cart while shopping or buy in high volume. This is why Amazon Associates makes my list as one of the best affiliate programs to choose. Amazon has its pros and cons, but there is little doubt that they are one of the best online stores that people trust for doing all their shopping needs. Some affiliate marketers primary goal is to simply get a visitor to click over and let Amazon do all the heavy lifting with showcasing products. Their store is optimized for shopping and a top starting point for most affiliate marketers. While this all sounds great, Amazon is notorious for having one of the worst cookie lengths of all affiliate programs. With affiliate links, the cookie is the time in which you will still get credit for the sale. Meaning if someone clicks on an affiliate link and looks at the product, but don’t buy right away, rather they purchase it a week later, you will still get the commission as long as the cookie length is over a week. Most cookie lengths are 30 days from what I’ve found, but some of the best affiliate programs get clever with their offers, giving out 90 days or longer to ensure the affiliate gets commission down the road. 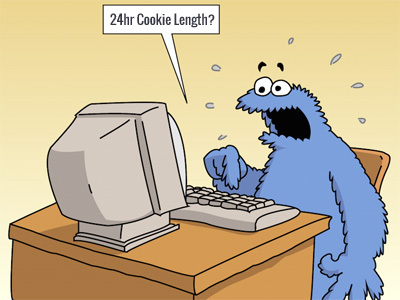 Amazon, however, has just a 24-hour cookie length. Meaning if your website visitors decide to think about buying the item they clicked on from your website, and make the purchase after 24 hours, you DO NOT get the commission for the sale. There are tricks around this 24-hour window though. If you create a unique link that automatically adds the product to someone’s Amazon cart when they go to your affiliate link, Amazon will lengthen your cookie to 90 days (If they buy in 90 days, you still get the commission). As I mentioned above, the cost of an item is necessary when picking the best affiliate program to use. However, the product itself is something you should also research. A specialty item, for example, performs better than a common product the visitor can pick up when they are out next time at the grocery store. Not everyone likes making big purchases online, but a lot of people do research them. A lot of your research should be done into not only the item itself but the likelihood the visitor will click and buy online. The following are 10 of the best affiliate programs I would recommend, why a twist for my top choice. Full disclosure: There are a couple of links in this article that are affiliate links, but the list is not swayed by their offers. I have used all of these affiliate programs at some point in the last 4 years. Any and all site updates can become their own affiliate marketing pitches. If you update your theme, make a post about it and tell people where you bought the theme. Update your logo, tell them you thought the new logo enhanced your WordPress theme… which you bought at ThemeForest. Not everyone reading your site is a shopper, some are bloggers or admiring your work. If it’s worth the time to update your site’s look, it’s worth the time for a quick post with an affiliate link. 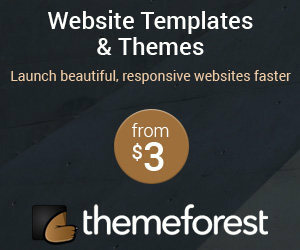 Theme Forest Details: When a new user clicks your referral link, signs up for an account and purchases an item (or deposits money) via any of the Envato Market sites, you will receive 30% of that person’s first cash deposit or purchase price. If they deposit $20 into their account, you get $6. If they buy a $200 item, you get $60. I used Rakuten, back when it was just called LinkShare. I remember liking it a lot, however, at the time, there weren’t many sites that fit niches I was working on. Overall I liked the platform, mind you I would like to pass along a tip for anyone who plans to signup. Tip: Make sure you uncheck newsletters from affiliates unless you’re keen on latest updates for info. I found that LinkShare and the affiliates I joined sent too many annoying emails that didn’t have premium offers. They were more like pep talks to motivate to sell. While it’s nice to have an active affiliate eager to work with you, it can be a little annoying to be pushed to make sales. 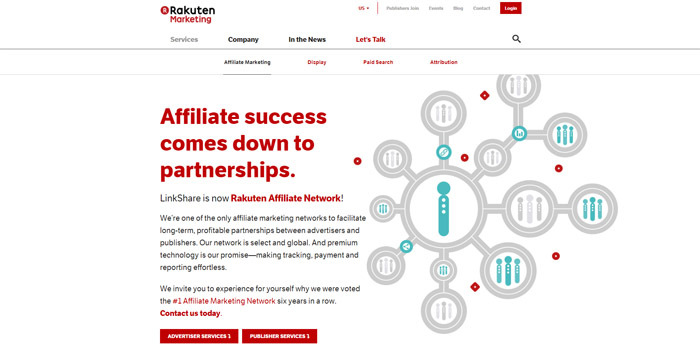 Here are some of the brands you can represent through the Rakuten Linkshare affiliate network. All of the main criteria checks out, it’s just I hate the fact that I have such a hard time finding sellers as their database for searching is so frustrating. I also find that sellers are slow to approve. I’m not sure if they get notifications on their end, but usually, you don’t leave people hanging for weeks on end if they want to promote your product or business. It would be wrong for me to leave CJ off my recommended best affiliate program list, I just feel I can’t put them on here without warning you their website is a headache. I hope you test them out, and please if an update is done to their website leave a comment and I’ll update this write-up. At things aside, CJ’s marketplace -the list of available companies to work for- is arguably one of the best in the industry. There are more big brand companies with CJ than with most of the best affiliate programs out there. My advice is to try them out and see how it goes. Here are some of the affiliate programs that you can join with Commission Junction. I have a lot of experience with Avangate, not just from the affiliate side but as a seller too. I owned a company that created an affiliate program from 2013 to 2016. I was amazed by how much control I had over each affiliate. I could create a better rate for power affiliates and make promo codes for any product at any time. Avangate has all the tools to make their affiliates happy and seeing how I’ve seen the backend of the seller’s dashboard, my advice is to not only promote products hard but get in good with the companies themselves. A friendly email for tips and advice, questions about upcoming sales or promotions is a great way to build a relationship. Once the moment presents itself, I would ask for an exclusive promo code or bump in commission if you are doing well. Like I said, from the seller’s perspective, they can reward individual affiliates if they so choose very easily. Some of the features offered by Avangate. Easy set up and start selling. Automatic integration with any e-commerce platform. Real-time reports monitor affiliate channel results. Avangate also offers free affiliate training. This is a totally different concept to an affiliate program, and maybe perfect for you. I’ve currently just signed up to be an affiliate with them, so I don’t have too much to say right out of the gate, expect that I’ve been every impressed. I love the concept of this company and their website and payment dashboard is pretty cool. 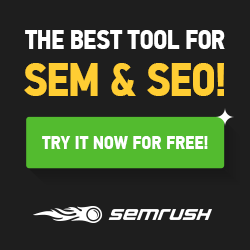 SkimLinks has a unique tool that makes it super easy for you to boost revenues in multiple ways. Basically, they have a system that automatically adds affiliate links, monetize links on social media, access searchable product feeds and measure your content’s performance – and that’s just the beginning. Skimlinks automatically turns product links into trackable affiliate links. There’s absolutely no cost to join Skimlinks and it works on a revenue split model. They cut 25% of the affiliate income generated from your website. Skimlinks also offers a referral program and they give you 35% of what they earn for a year from all your referrals. 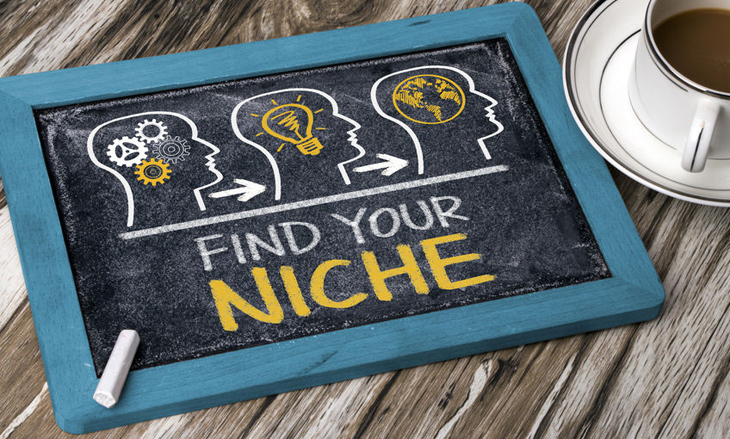 eBay offers an affiliate program that, depending on your niche, could fit well with your content. eBay, a multi-billion dollar online auction, and shopping website sells a wide variety of goods worldwide. The eBay Partner Network program offers an extensive range of tools that can boost your campaigns, like interactive ads, a handy link generator, customizable banners, RSS feed generator, access to their API for users who are more technically proficient. eBay Partner Network provides you with a host of incredibly useful tools that can help you enhance your campaigns. To begin with, the Creatives Generator provides you with a variety of pre-made, colorful graphic and interactive ads to choose from. These are designed to appeal to a wide audience so you can easily attract even more visitors to eBay product pages from your site. In addition, this affiliate marketing network also gives you the ability to add customizable banners. These flash banners give you relevant, real-time eBay listings based on your search criteria to your website, and you can choose from the provided designs or you can make your own. Share A Sale is very underrated in my opinion. I’m not sure they get the same respect amongst the affiliate market community as they should. They have been around for 15 years now, offer a nice mix of products from mom and pop small businesses to NFLShop from NFL.com. I’d say over the last three years I’ve really noticed a boost in top affiliate sellers. There are a lot of mixed reviews about ShareASale, I honestly use them all the time, my best advice would be to try them out. They are a safe and trusted company. Here are just some of the many affiliate marketing programs available at ShareASale. ClickBank is a top 100 online retailer with 200 million customers. They offer everything from Fitness products, healthy cooking recipes to dating advice, ClickBank delivers digital lifestyle products to customers in 190 countries. Honestly, with the popularity of their service, ClickBank should be number one on my list, but I personally have never found a product that I could get behind. ClickBank offers one of the best commission rates and cookie lengths available. They are easily one of the best affiliate programs online. ClickBank is primarily self-serve, so there are no management packages. Also, you must pay a set review and compliance fee for each product you want to list on the platform, whether physical or digital. You also pay a flat fee and a commission on every item that you sell, on top of the commission that you pay to the publisher. Some would argue that Amazon is one of the worst affiliate programs available due to their small commission rates, insanely short cookie length, and country limited programs (meaning you could have a link to Amazon.com, but someone from Canada wouldn’t earn you a commission as they’d buy from Amazon.ca). However, Amazon is an absolute giant and a brand that is extremely trusted worldwide. Often a great affiliate marketing strategy is to simply get people to click over and set them free to browse and shop for whatever they need to buy. Just getting them to click can be like letting a kid loose in a toy store. I for one have created content that targeted one certain specific niche, only to check my sales and wonder how they went from the article I wrote to the item they purchased. I have found that Amazon Associates to be an excellent affiliate program despite the lower commission rates. If you were questioning if you could really make any money being an Amazon Associate, I can assure you it’s entirely possible if you’re smart about it and start out with this program. I would say that Amazon Associates is the ultimate starting point for anyone starting out in affiliate marketing. Most people blog about passions they have. They start websites about skills or experiences they want to write about. It’s only after they learn about how to monetize their website do they begin to learn about affiliate marketing. Of course, there are those heavy affiliate marketers that startup websites just to promote a product, that’s another article on its own. 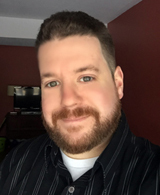 My site is sort of a mixed bag about the tools I use, WordPress and the experience I have from working with all types of clients over the years. So because of that, I personally just promote the products or service from the sources that I like. If the company has an affiliate program I sign up for it and recommend it. If they don’t, I’ll actually email them and tell them I’m a member or have purchased their product and ask them if they ever thought about adding an Affiliate program to boost sales. My point is, sometimes depending on the company or the type of website you have, you don’t need one of these affiliate programs to still collect earnings. Look at it from the seller’s point of view. If I had a tech product that sold for $100, I could start up my own affiliate program and offer people 15% per sale. If I also signed up for one of these affiliate programs, I could sell my product for 15%, but the company would take a cut for allowing me to be indexed in their marketplace. So I may adjust my commission rate, or cookie length to correct for the cut I have to give away. 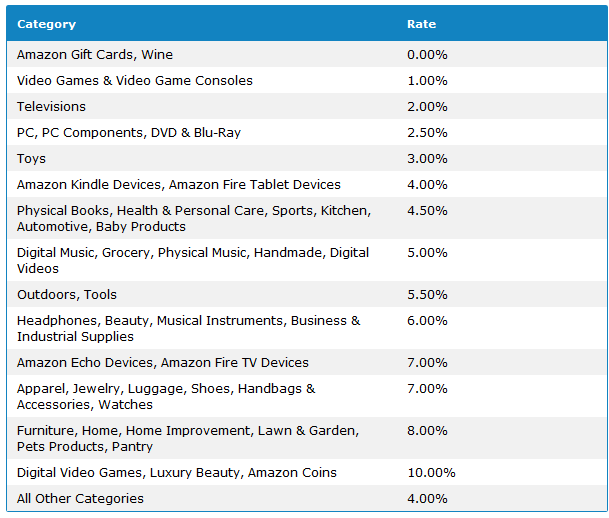 This year Amazon Associates changed their commission rates. I remember being on Reddit and talking with other affiliates about what they could do to find ways to keep their earnings up. One of the best suggestions was one that I was already doing. I simply searched Google for companies that had their own affiliate programs. I was amazed I was able to find as many as I did. One company, let’s call them “Brand ABC” was selling their products through Amazon. I was already promoting them through Amazon Associates. 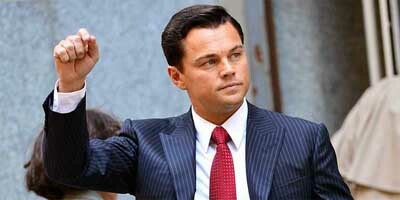 I was earning roughly 6% per sale. Their website, however, was offering a 15% affiliate program with 30-day cookie length. I simply applied and then went back and swapped out all my links to their products. How easy is that? I not only gained 9% more commission per sale, but I extended the cookie length by 29 days. This not only got me excited about the possibilities of higher earnings, but it made me write more content for “Brand ABC” directly. I hope this article has made you think about not only the affiliate programs you pick but the product itself. Remember, the sellers want to make sales and the are going to take notice of who their power affiliates are. Without you, their sales drop. You need to recognize the power you bring to the table and don’t feel in like you can’t negotiate for a better deal if you’ve proven you’re worth it. Also remember to shop around and explore all aspects of companies that could provide you with affiliate partnerships. Wow, such a great overview, I have noticed that more and more people are interested in affiliate marketing, that’s why we can easily explain their popularity growth! I am revglue.com affiliate, It is easy to promote the best products on the net and to earn 100% commission! Ready to share my experience!